With a surface of 140 km, the Mayan Riviera is a paradisiac place with the best beaches in the Mexican Caribbean, where you can do a lot of activities, like swimming with dolphins. Here's a list of other stuff you can do here. This is one of the most attractive beach destinations in the country since it's part of the world’s second largest coral reef. In the surroundings lay some of the main archaeological spots of the mayan culture. To the Mayans, cenotes were sacred places. Filled with transparent water, they are natural caves that allow you to explore deep down and look for other kinds of beauty. Coba, Tulum and Chichen Itzá are the most emblematic and relevant sites to visit during your vacations in the Riviera Maya. Cobá, for example, preserves a lot of mysticism given that is is not a very well-known temple. 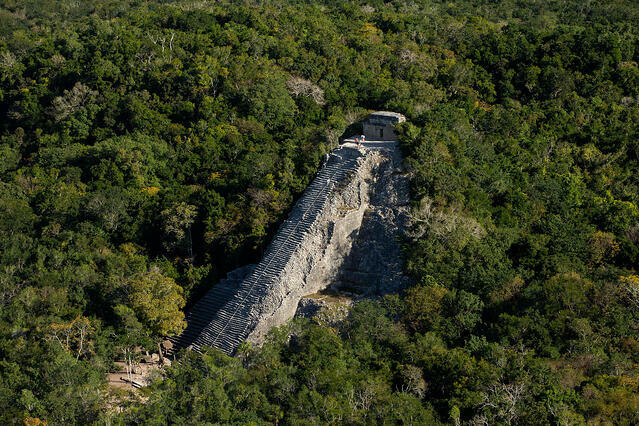 It is very common for tourists to visit Chichen Itzá and forget about Cobá, not realizing that in Cobá they can find the highest pyramid in the peninsula. The Riviera Maya, besides its natural beauty, is also a very popular destination because of its proximity to the best places to swim with dolphins in Cancun. 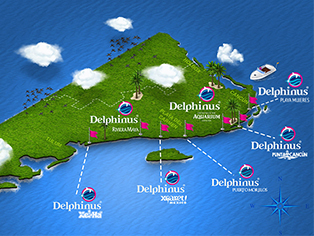 The habitats destined for this activity are all natural and are located in Puerto Morelos, Xel-Há, Xcaret and the Riviera Maya. Among all the activities in the area, getting to swim with dolphins in Cancun is without a doubt one of our favorites and the one we recommend the most; it is an experience that you won’t forget. Last but not least are adventure and adrenaline activities, which you will find in both of these aquatic and ecotouristic parks: Xel-Há and Xcaret. In both you will find aquatic, land and air activities! You can travel through underground rivers or experience an encounter with marine mammals like swim with dolphins in Cancun. The best of all, is that these parks offer all-inclusive packages, which means you can enjoy all the activities to the fullest. Now is time to pack your bags! 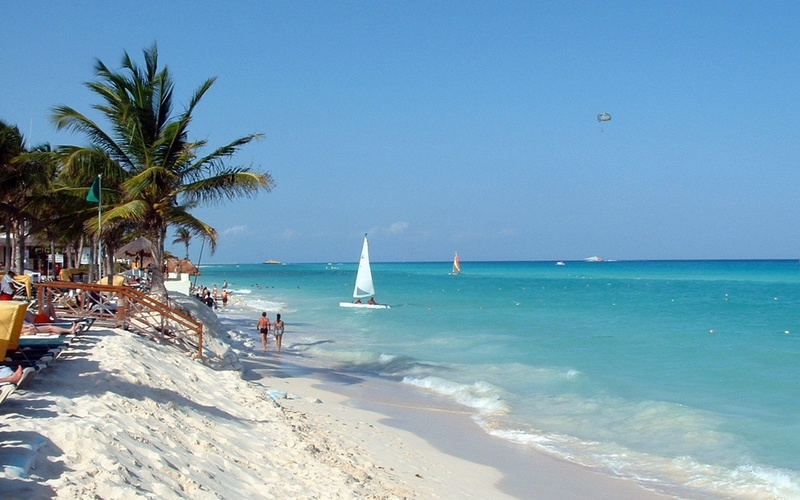 Live a vacation like no other, in one of the most beautiful regions of the Mexican Southeast: the Riviera Maya.